1. How would you define the books you write? Does the label chick lit have any relevance to your work? I write novels about people, about the complicated relationships and family setups we human beings construct, about the search for happiness and understanding we’re all embarked upon. I’ve heard some of my titles described as “chick lit” or “family drama” but I’m not sure these categories ever really fit any book perfectly. The way I personally understand “chick lit” is that it defines a way of telling that universal tale of the search for love that permits female characters to be complex and funny and spunky and ambitious in their life goals rather than the passive suffering victims that occupied so much of the romance genre before chick lit (thankfully) came along. So if that fits your own definition, then I’d be proud for my novels to fit the category! I write romantic comedy novels. Some people define them as chick lit. I guess a lot of publishers do, perhaps because they like to pigeonhole books into specific genres as they think it makes them easier to jacket/sell. But I don’t mind what people label them, as long as they read them. I write comedies about relationships. Beyond that, I’m not sure what to call them. I know chick lit is a bit of a contentious label, and I entirely understand why, but as a handy shorthand for stories that can be funny, and deal with the personal problems real people deal with every day I’m fine with it being used for my stuff. 2. Is it still chick lit when men write it? Nick: As I understand the genre, then yes. I think men are as capable of writing novels where the women drive the action as men are. I’m not sure that straight male authors always manage that well to get inside the brains of their female characters, but gay men and straight women have more in common than they always care to admit to! But in the end, that would have to be for individual readers to judge. Matt: That depends on your initial definition, I suppose, but if you define romantic girl-meets-boy comedies as chick lit, then it’d still be chick lit even if a monkey wrote it. Neal: I’d say so, if it’s dealing with the same subject matter. Maybe some might prefer lad-lit or something like that, but to me that doesn’t sound any more accurate, as most of these type of books by men aren’t really very laddish. I’d suggest chap-lit as an alternative, but it sounds a bit too much like a lip-care product. Or something to do with leather cowboy trousers. 3. What can men bring to the chick lit/romance genre? Matt: The male perspective, I guess. Insights as to how we ‘tick’. Certainly that was my aim when I first started writing – to provide the male point of view on subjects like relationships, being dumped, marriage, parenthood, proposing, friendship etc. 4. Why did you decide to write chick lit/romance? Nick: I really didn’t ever make that decision. I wrote a whole series of gay fiction novels called the 50 Reasons Series. These started out being very gay, centring mainly around the dating nightmares of a man called Mark. But as the stories evolved through five novels, and as Mark himself evolved, the female characters in the book, and one in particular, came to become more and more important. By the fifth volume, Sleight of Hand, Jenny, (Mark’s best friend)and her daughter, came to dominate the narrative. So when that was finished, and because I had so enjoyed writing it, I set myself the challenge of writing a novel where the main character was a female, and The Case of The Missing Boyfriend was born. This lead to a sequel (The French House) and this in turn to a new two-book series, The Half-Life of Hannah and Other Halves (just out). The Half-Life of Hannah and Other Halves have been huge successes, so it looks like I’ve stumbled onto my genre! Matt: I’d known I wanted to be a writer for a very long time, but didn’t really know what to write about. Then I read Nick Hornby’s High Fidelity, and knew that was what I wanted to write. Nine novels later, I’m still trying! 5. 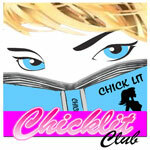 What do you think of the name chick lit? Nick: To be honest, I think it sounds a patronising. It sounds like a man invented it to diminish novels about interesting modern women. I don’t think Bridget Jones (who pretty much defined the genre) would dream of ever calling herself a “chick.” On the other hand, plenty of her appalling dates would have called her that and deserved a slap for it. Matt: The only issue I have with it is when people use it as a derogatory term, or think it somehow describes a lower quality of fiction. Helen Fielding, Sophie Kinsella, Nick Hornby, David Nicholls – all writers who you could say have written chick lit novels, and all of them are masterpieces. But remember – a lot of men read these books too, so is ‘chick’ lit accurate? But if people who like reading chick lit like reading my books, I have absolutely no complaints – there’s some extremely high quality chick lit out there, so to suggest it’s a derogatory term (or to take offence) would be churlish. Remember, there are good and bad examples in every genre, but it’s only in ‘chick lit’ where writers get lumped together under what is sometimes seen as a negative label. Remember, it’s one of the most popular genres – most of the Booker shortlist won’t sell anything like the numbers a successful chick lit author will, so maybe there’s a touch of jealousy in there. Neal: It’s not ideal is it? Before you even get to the point where you consider whether women are happy to be referred to as ‘chicks’, and whether their interests are being dismissed as fluffy or inconsequential through its use, I think it’s daft to name a genre after the people most likely to read it, rather than what it is about. 6. What are the particular challenges for men in writing chick lit/romance? Nick: Understanding women’s lives isn’t necessarily that easy, but I think it’s a bit easier perhaps for a gay man than for a straight football-loving “geezer”. Like women, gay men understand about being treated differently. They get that patronising smile your straight male boss might give you. They understand all the doubting, the insecurity. And they tend to have women friends who tell them a LOT of things that they never tell their boyfriends, which is a huge help of course. Matt: For me, it’s been writing as a woman! My first six novels were told from the male narrator’s point of view (i.e. mine! ), but for my seventh (A Day at the Office) I wrote part of it as two women. 7. Do you feel accepted by the industry? Nick: I have no idea what the words “the industry” really mean these days. The publishing industry is going through such vast upheaval, I’m not sure that even those in the publishing industry understand what it is anymore – certainly nobody knows what it will look like tomorrow. But with over three quarters of a million ebooks sold, I feel accepted by readers, and what readers think is far more important to me. Matt: I’ve sold enough, and had good enough reviews/feedback to feel accepted by my readers, and that’s the main thing. I think my first publisher struggled a little to categorise/jacket my novels, given that my books appeal to both men and women. I’m published by Amazon now, and they certainly don’t see me as a problem! 8. Do you think there’s any gender discrimination in the genre/industry? Nick: Yes. Absolutely. I’ve been told that it’s a “problem” that I’m a guy writing family dramas/romance/chick lit more frequently than I care to remember. And it’s been often suggested that I take on a female pen name. Nicky Alexander, and Alexandra Niccols were floated by a major publisher at one point! And I don’t doubt for a moment that any woman trying to write anything other than romance/chick lit will be hearing the same kind of thing. The great thing about the industry today is that there are so many channels to publication out there that one doesn’t need the acceptance of these “gatekeepers” of the literary world. One can just write what one wants, and let the readers decide a) if they like it and b) what category they think it fits into. Matt: From my point of view, being a male writer in a market segment that’s dominated by women actually helps me get noticed. Neal: I don’t think so among readers. If anything I think you’re given a bit of extra leeway as a bloke writing romance, and people are impressed that you’re doing it at all. A bit like when you meet someone speaking English as a second language and they’re really good at swearing properly. 9. 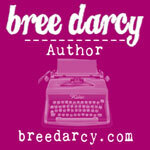 What’s the attraction for you in writing chick lit/romance? Nick: It lets me explore feelings. And I think there is no more interesting subject out there than the private thought processes going on in people’s heads. A lot of lad lit is stuffed with action verbs – men rushing around doing practical things: driving fast, climbing things, killing people. That just doesn’t interest me. But the secret landscape of the mind – why people say what they say, how they understand (and misunderstand) each other. That stuff is fascinating to me. 10. Do you think we need to see more men writing in this genre? Nick: Not at all. I don’t think that men or women should ever let themselves be put off from writing in a genre simply because it’s not “usual” but other than that I think writers should just write whatever they want to write, so that readers can read what they want to read. Matt: If the books are good enough, why not? And it’s already happening – in the past couple of years, I’ve read some great comedy romances by several new writers, including (and sorry if I’ve forgotten anyone) Neal Doran, Jon Rance, and Nick Spalding. Neal: I think it would be nice to see more men writing in the genre, but there are already some excellent writers like Matt Dunn and Mike Gayle already out there doing it. I think it’s probably more important to see more men openly reading it. 11. Do you hope to see more men reading the genre? Nick: Well the great thing about reading novels is that it builds empathy. Understanding other people’s thought processes, understanding that different human beings perceive different versions of reality builds understanding between people and lessens conflict in relationships. So I think that if men read a bit less crime and action novels and bit more chick lit, then they might understand their girlfriends, wives and colleagues a little better. And that surely wouldn’t be a bad thing. Sadly women reading lad lit wouldn’t gain much understanding of their boyfriends. They’d just learn about riding motorbikes and drinking and of course, killing people. Matt: I hope so. How else am I going to afford to buy my Ferrari? 12. 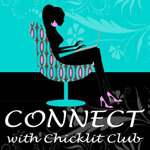 Were you familiar with chick lit before you wrote it? Nick: Yes. I’ve always liked novels about feelings and thoughts and desires and misunderstandings, and I’ve always liked stories with strong female leads. Matt: I’d read Bridget Jones, and the Shopaholic series, so I thought it entailed funny, well-written fiction. And I thought people who put it down probably hadn’t read it, and realised just how good it can be. 13. Are there any chick lit authors you are particularly fond of? Nick: I like Helen Fielding, Jill Mansell, Marian Keyes, Daniela Sacerdoti… And I’m an even bigger fan of women authors who write stuff that sits just outside the official boundaries of the chick-lit world, but who have strong women leads and lots of humour. Jenny Eclair, Fay Weldon, Iris Murdoch… stuff like that. Matt: Personally? That would be telling. But in terms of their work, there are a lot of female authors I admire – Sophie Kinsella writes incredibly funny stuff, Jojo Moyes is writing some amazing contemporary fiction, Freya North is a wonderful storyteller… The list goes on. Neal: The first name that always springs to mind is Marian Keyes. Funny, cleverly written characters you care about and an emotional depth that keeps you thinking about her books after you’ve finished reading them. 14. Which male-authored chick lit book should all readers read? Matt: Any of mine… Seriously, if we’re defining chick lit as romantic comedy, then Nick Hornby’s High Fidelity really sets the standard, as far as I’m concerned. Neal: The Best A Man Can Get by John O’Farrell is very funny, and very insightful on the growing up that men often have to do. 15. So finally, can men write chick lit/romance? Nick: One of my biggest motivations for writing is the belief that truth and perception are very individual things. We all experience very different visions of the world around us, and that applies to everything, including these questions! I love exploring that in fiction, and in answer to the question, “can men write chick lit?” I’d have to say that it’s for readers to decide, not me. Because everyone will see it differently. Is that a cop out? Matt: I’ve had eight novels published – two (The Ex-Boyfriend’s Handbook and A Day At The Office) have been best-sellers, with the former being shortlisted for both the Romantic Novel of the Year award, and the Melissa Nathan award for comedy romance. I have been hugely successful. Mike Gayle has been writing brilliant, funny romance novels for longer than I have. So I think the answer is ‘yes’. Neal: I think if anyone can have the imagination to write about the mind of a serial killer, or about a mystical kingdom full of elves and magical creatures, I don’t think they should be afraid to tackle the high-stakes world of a man falling in love with a woman. WOW! These interviews really answered a lot of questions I’ve been mulling over. Totally understand the difficulty of a male imagining a realistic conversation of two women talking alone, and it just makes me think of the great job female authors have been doing all this time when they create male to male dialogue. Whatever it’s called thank you for writing it and adding value to the genre!! !